The Washington Nationals were one of the few teams that remained pretty quiet in the final moments ahead of the MLB's non-waiver trade deadline, as the organization decided against trading superstar outfielder Bryce Harper despite some late buzz on that front. However, even with July 31st having come and gone, this doesn't mean other acquisitions cannot be made with some extra steps involved. 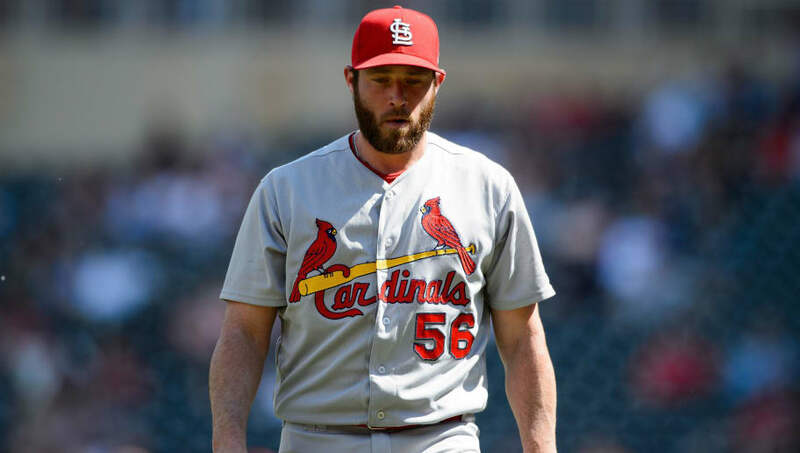 With open season for waiver deals now in full effect, the Nats have turned their attention to a fallen star, right-hander Greg Holland, who was released by the Cardinals just a few weeks ago. Holland signed a lucrative $14 million contract for St. Louis this past offseason, as he was supposed to be the teams lockdown closer. Unfortunately, after a string of poor performances and constant health issues, the 32-year-old saw his time cut short after only four months with the Redbirds. This has not deterred the Nationals from taking a look at Holland, as the team figures to buy low on a hurler who accumulated an ugly ERA of 7.92 in 25.0 IP this season. At this point, though, it can't hurt to take a chance with the veteran whose price has never been lower. Who knows, maybe he finds the stuff that helped him become the All-Star reliever that he was in Kansas City and Colorado.